The U.S. immigration picture is changing fast: Migration from Latin America, and especially Mexico, is falling and has been overtaken by immigration from Asia. In an article Wednesday, I focused on what those trends mean for the debate over immigration policy. 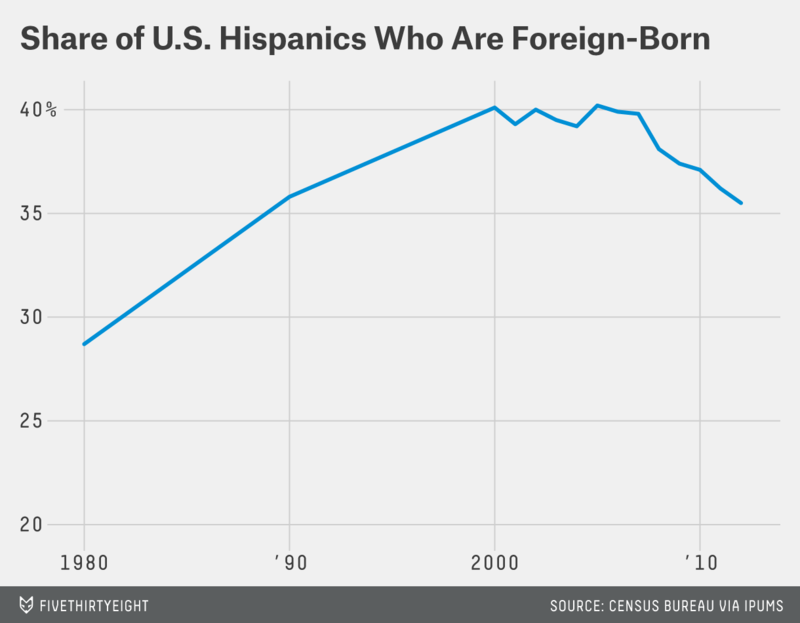 But they are also driving a major shift in the broader U.S. Latino population. The Latino population is growing quickly. More than 54 million U.S. residents identified as Hispanic in 2013, up 15 percent from five years earlier. Hispanics now make up 17 percent of the population, up from 15 percent in 2008. But that growth isn’t due to immigration and hasn’t been for more than a decade. In 2013, according to the Pew Research Center, immigration accounted for just 22 percent of Latino population growth. The rest was due to “natural increase” (births minus deaths). For Asians, the numbers are nearly reversed: 61 percent of growth in the U.S. Asian and Asian-American population is due to immigration.